If you are a planner, summer is probably in full swing and you are ready to get a head start on back to school prep. If you are a procrastinator, you probably hung out by the pool all summer and are looking for easy activities and centers for the first week, or month, of school (which might be next week)! Either way, having simple centers for your learners to use as they learn all the routines and procedures in your classroom is a MUST! 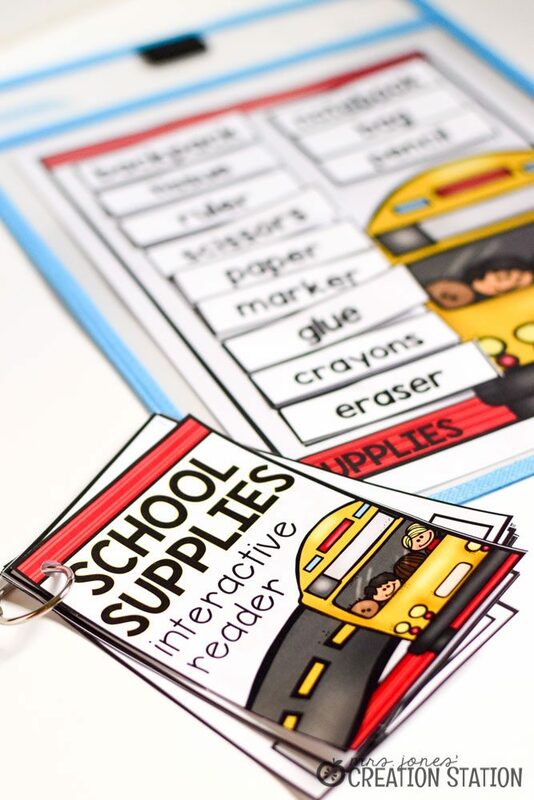 If you are searching for a way to organize your stations and need some engaging activities to fill them up…look no further! 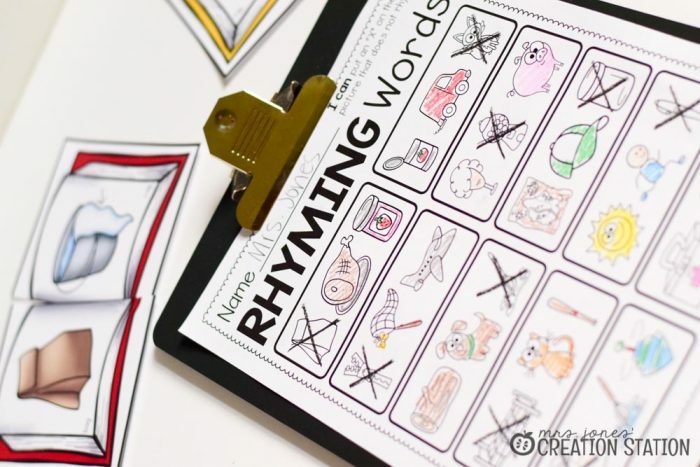 Rhyming is a great skill to practice at the beginning of the school year. Knowing whether or not your learners are able to match rhyming words is essential as you plan your instruction. For this center, have your learners match the rhyming pairs. After they make the matches, they can mark out the picture that does not belong on the rhyming printable included. This may seem like a pretty basic concept…which is perfect! 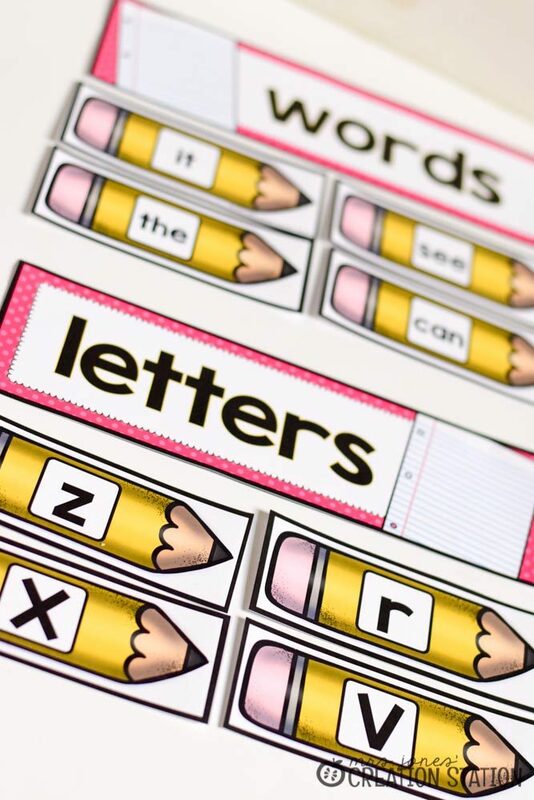 Teach them how to use the pocket chart center and see which learners know the difference between words and letters. 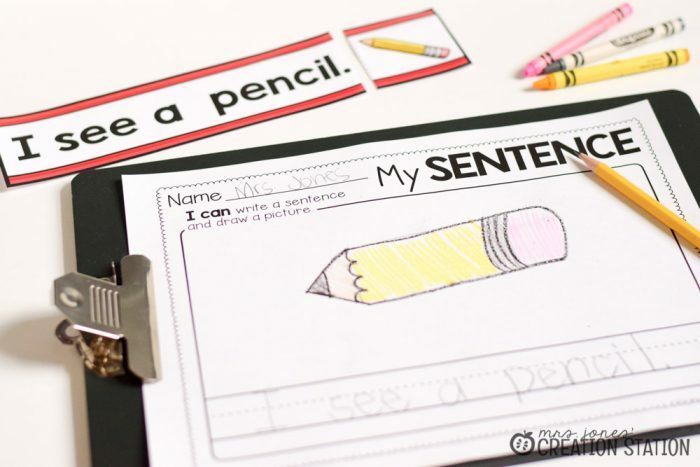 For this center, have learners sort the words and letters cards on a pocket chart under the correct title. 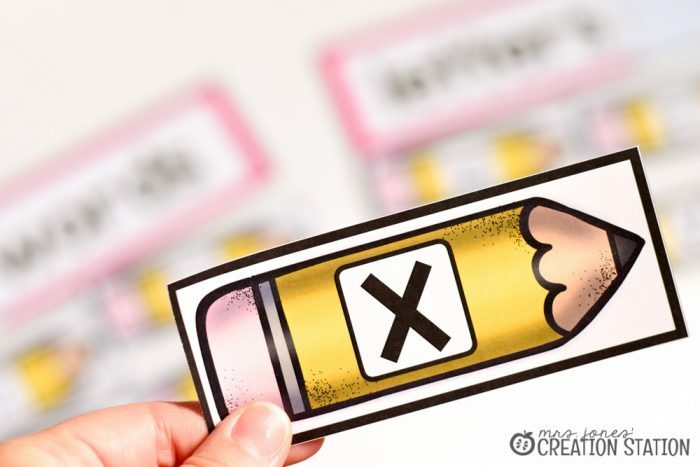 Learners may write how they sorted the cards on the printable included. The reading center can be the classroom library, shared reading poems or even read-to-self time. Adding interactive books into this center will give your learners an engaging way to learn and review vocabulary. 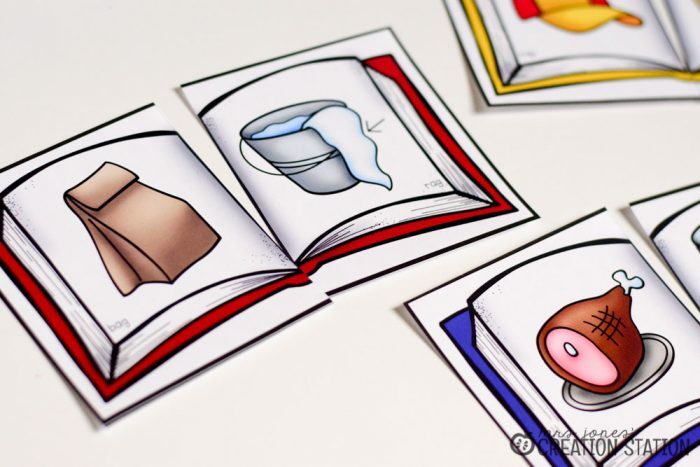 In this activity, learners can match the word to the correct picture in the book. Set this center up easily with a metal ring and some sticky tack on a paper sleeve or create a book using a photo album. At the beginning of the year, you probably haven’t taught any new sight words. So, this center is perfect for engaging learners and allowing them to become familiar with words they will be learning. 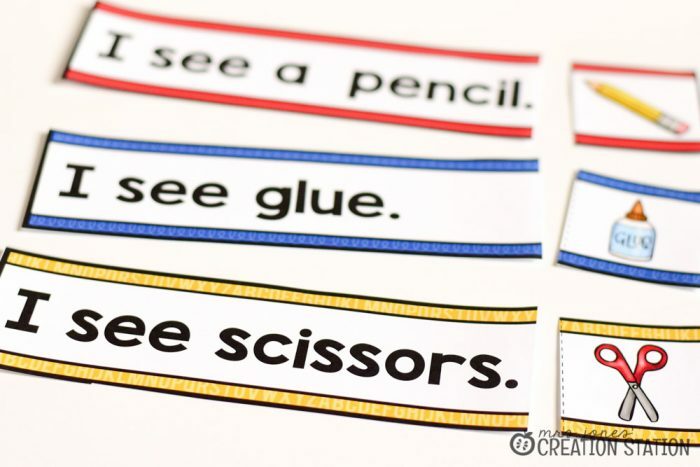 Edit the sight words cards to meet your needs by following these directions. 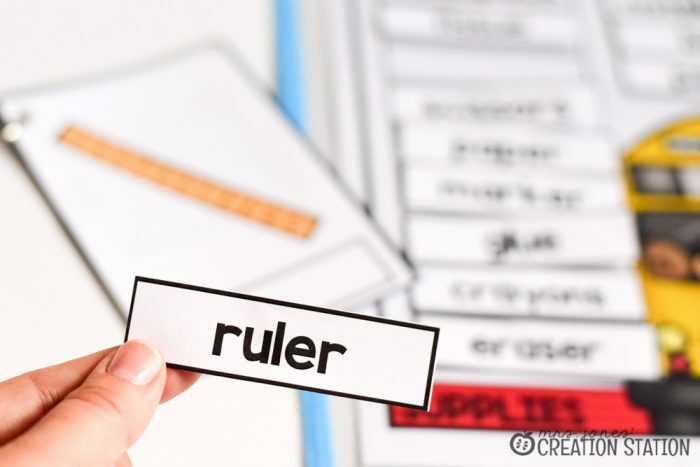 Have your learners use a manipulative (or variety) to form each of the words. Fun, easy and tactile!!! The word work center at the beginning of the year is always a simple alphabet center in our classroom. Learners need to review all the letters before we dive into more letter knowledge and phonics. 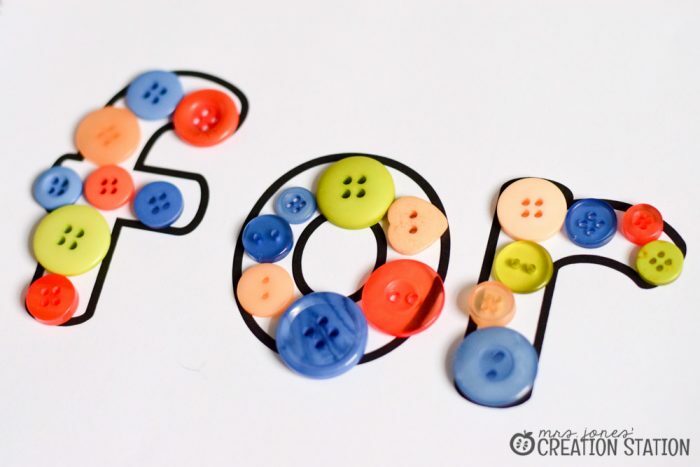 In this center, learners can place a clip on the correct lowercase letter for each alphabet clip card. 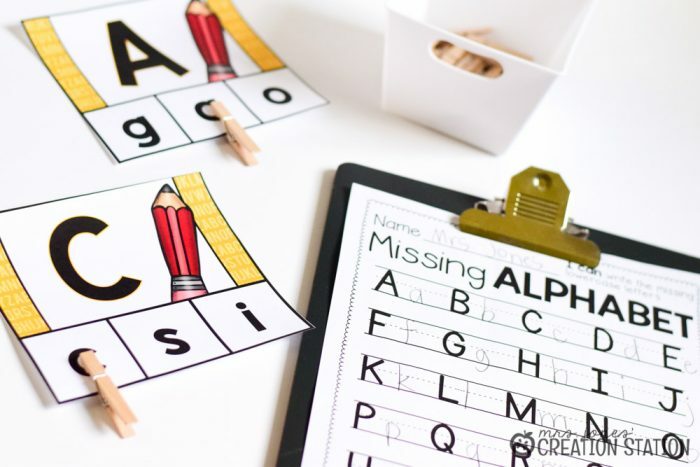 Have learners practice writing their lowercase letters on the printable included. The first stages of writing in our classroom is learning to copy text and recognized that a text and picture should match. This center hits both of those skills. Have learners match each sentence to the correct picture. 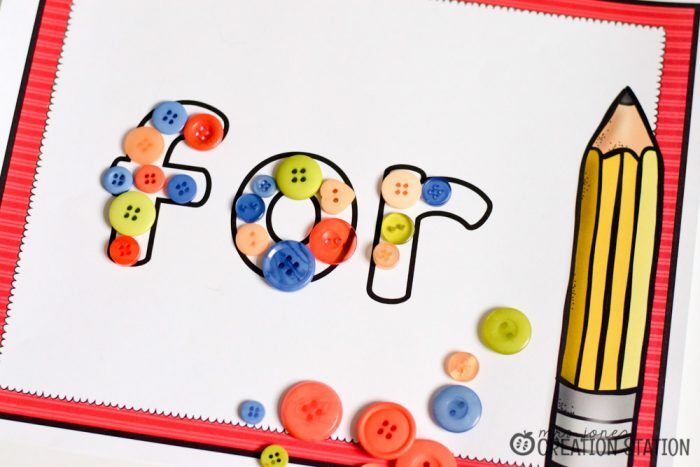 Learners may then choose a sentence to copy and illustrate on the page included. 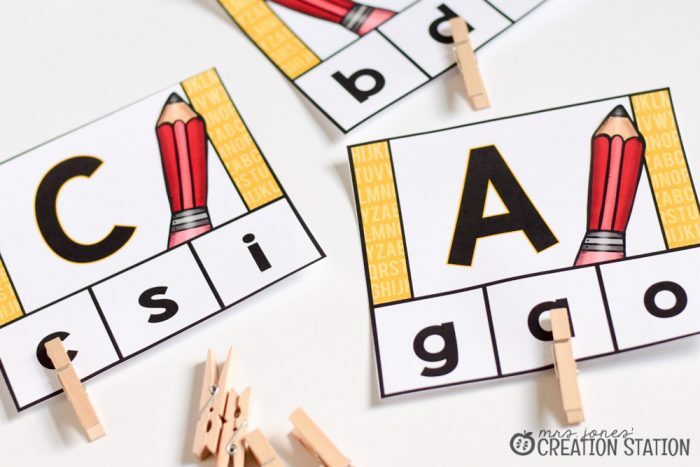 You may decide to use these centers in your literacy stations or introduce these activities in whole group or small group instruction. Either way, your learners will be able to practice the literacy skills that will be introduced at the beginning of the school year. You can find these literacy centers and math centers by clicking the image at the bottom of this post. 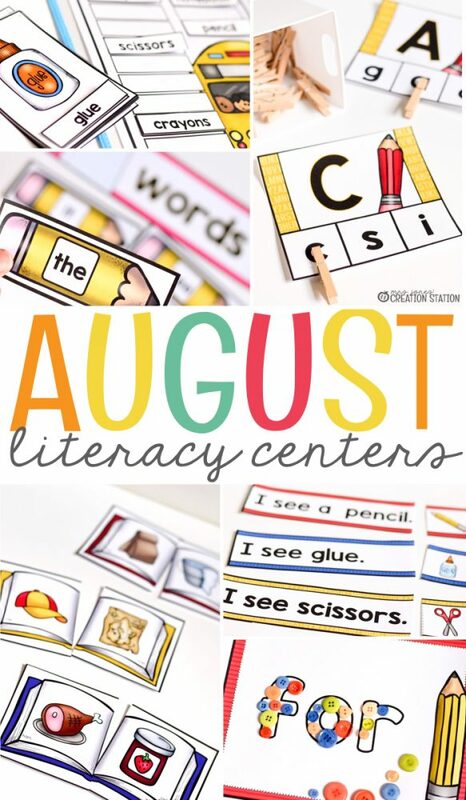 Be sure to check out the bundle of monthly literacy and math centers for easy and effective center activities for your learners!